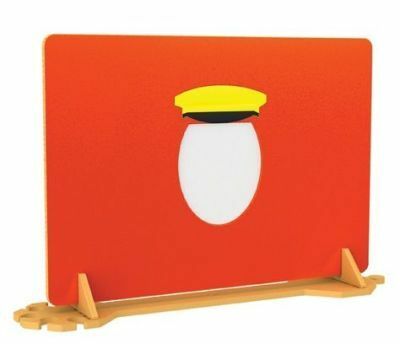 As part of the Mirror divider range, this Taxi Driver divider can be linked at its base with others in the range which include Nurse, Policeman, Fireman and Builder. Fun and interactive, this divider features an integrated mirror underneath the hat creating the illusion of the viewer wearing the hat. Manufactured from high-quality MFC, this product is built to withstand tough conditions, making it perfect for use in nurseries and primary schools.